↑ 1.0 1.1 1.2 1.3 "Ivory's WWE Alumni Bio". WWE. สืบค้นเมื่อ June 14, 2011. ↑ 2.0 2.1 2.2 2.3 Oliver, Greg (April 13, 2000). "'Slop' matches haven't stopped Ivory". Slam! Wrestling. Canadian Online Explorer. สืบค้นเมื่อ August 15, 2008. ↑ 3.0 3.1 Lohr, Marsha (2008). "The Power of the Paw" (PDF). petboutiqueandspa.com. สืบค้นเมื่อ December 12, 2008. ↑ 4.0 4.1 4.2 4.3 "Ivory's profile". Online World of Wrestling. สืบค้นเมื่อ September 3, 2008. ↑ "Ivory joins the WWE Hall of Fame Class of 2018". WWE. สืบค้นเมื่อ February 13, 2018. ↑ 6.0 6.1 Bobby, Melok (February 12, 2018). 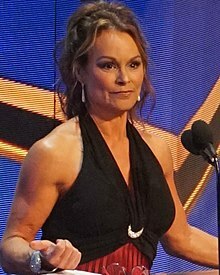 "Ivory to be inducted into WWE Hall of Fame Class of 2018". WWE. สืบค้นเมื่อ February 13, 2018. ↑ Johns, Fred (April 25, 2006). "Ivory proud to be independent". Slam! Wrestling. Canadian Online Explorer. สืบค้นเมื่อ August 16, 2008. ↑ "Women's Title History". WWE. สืบค้นเมื่อ December 13, 2008. หน้านี้แก้ไขล่าสุดเมื่อวันที่ 29 ธันวาคม 2561 เวลา 08:05 น.